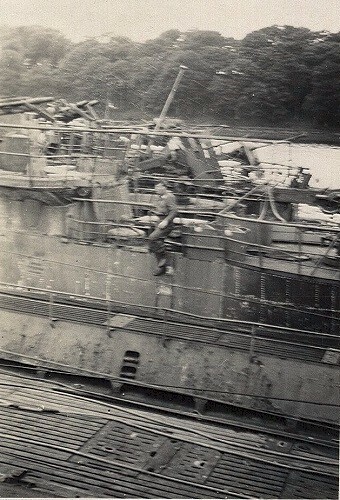 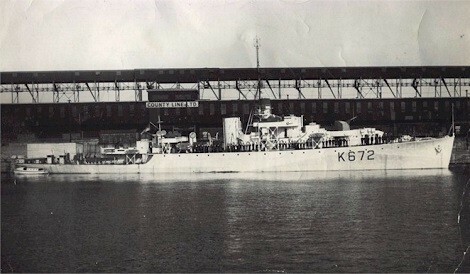  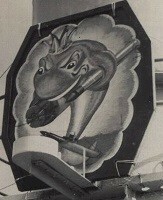 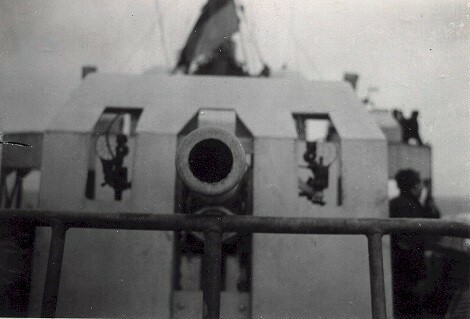 Built by Canadian Vickers, Ltd, she was commissioned on 18 May 1944, at Montreal. 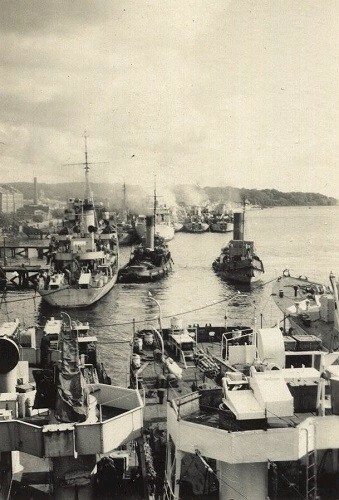 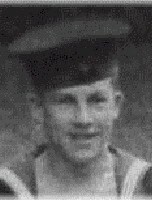 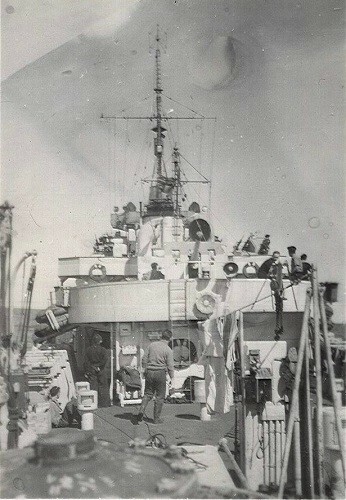 Longueuil arrived 30 Jun 1944 in Bermuda to work up. 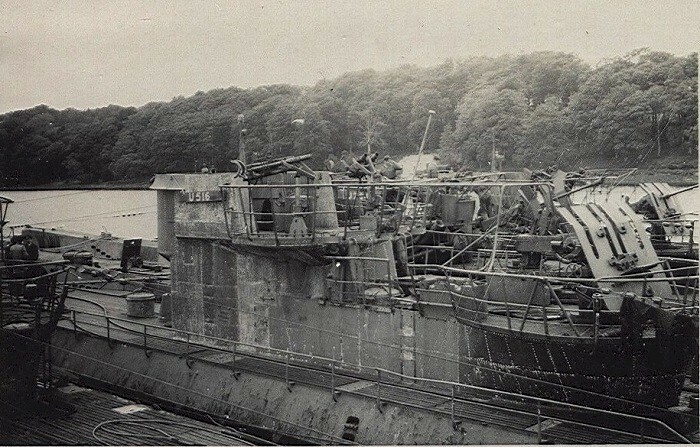 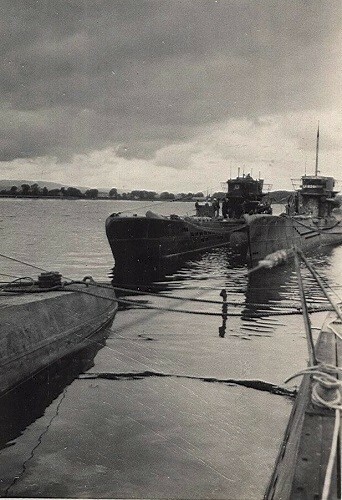 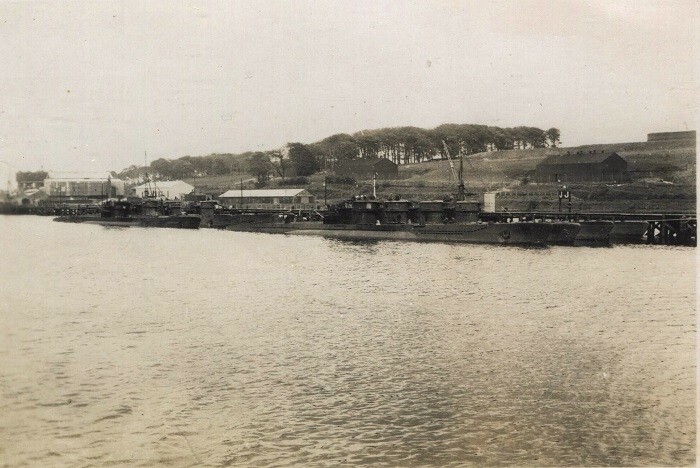 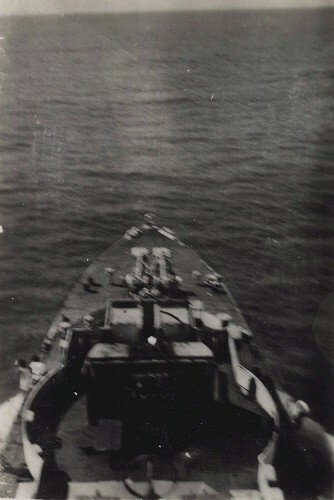 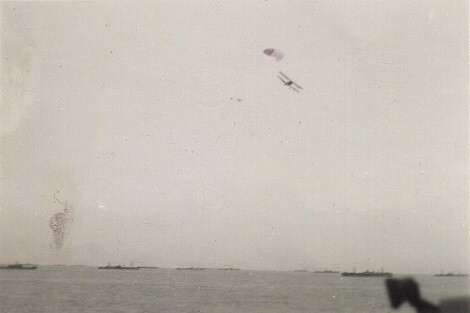 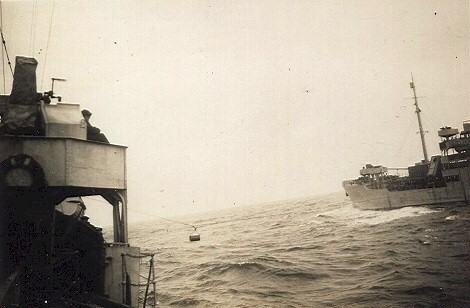 In Jul 1944 she became a member of EG C-2, and on 07 Aug 1944 left St. John's for Londonderry with convoy HXF.302. 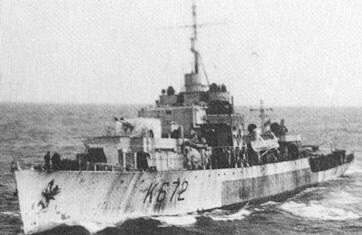 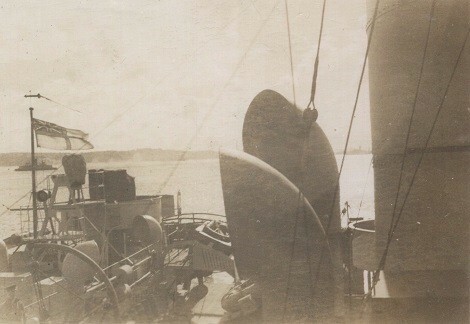 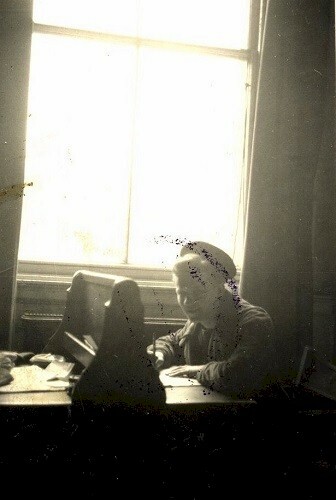 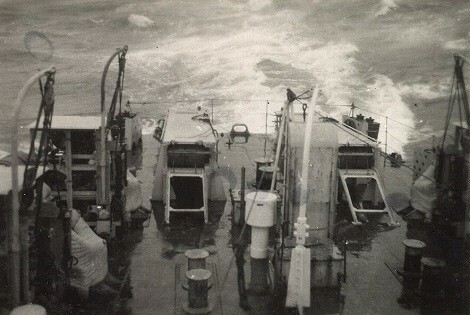 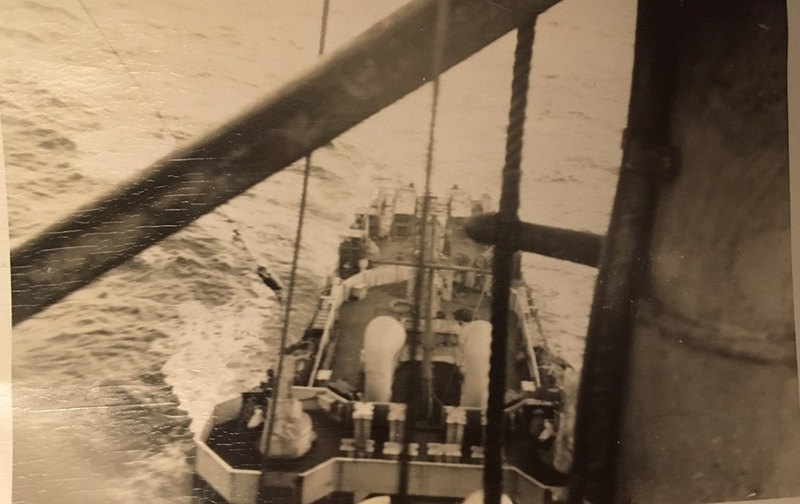 She spent her entire wartime career on convoy duty and for varying periods was Senior Officer's ship of her group. 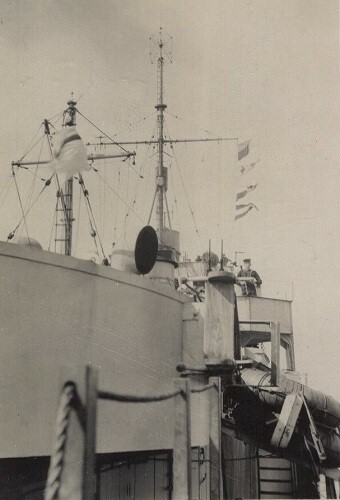 Returning to Canada in Jun 1945, she proceeded to Vancouver for tropicalization refit, but this was cancelled and the ship paid off 31 Dec 1945 at Esquimalt. 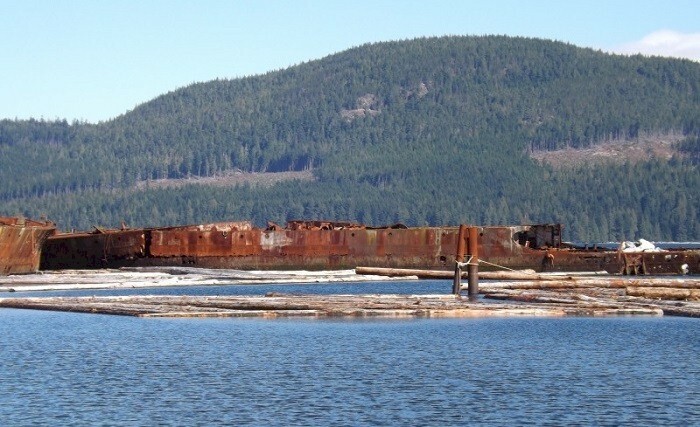 She was sold in 1947 and, reportedly, expended as part of a breakwater at Kelsey Bay; B.C., in 1948. 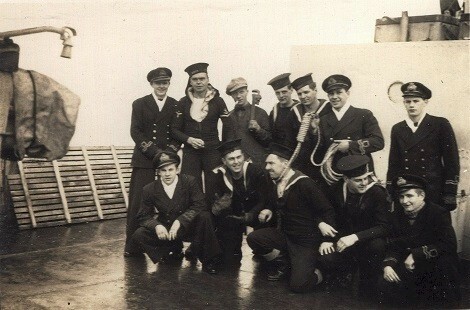 The story behind the photos. 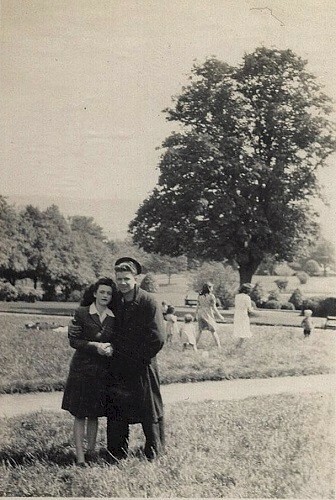 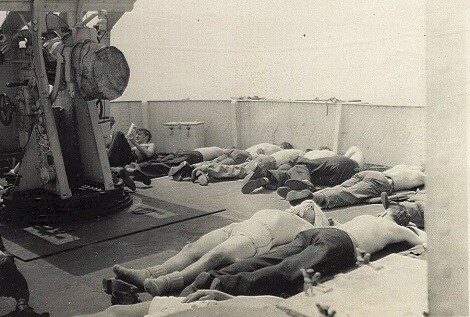 "The Gallows" photos were taken on Christmas Day 1945. 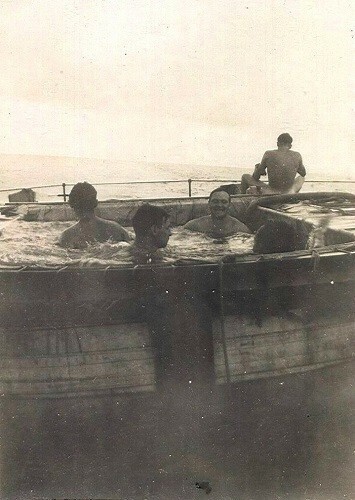 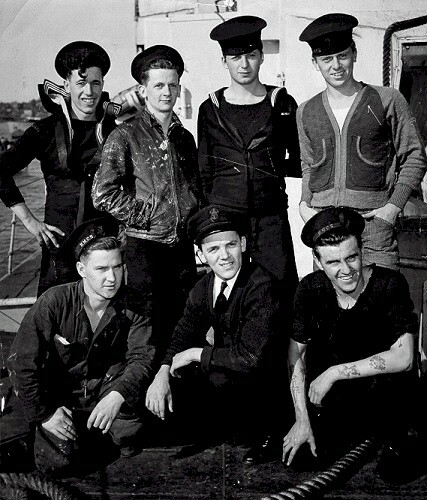 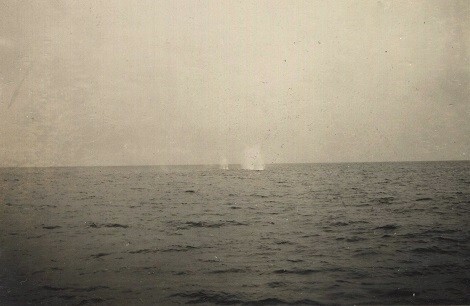 The seamen were made officers for the day and everybody got into the act. 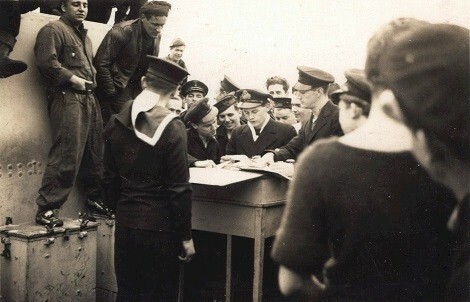 The officer was probably weighed off for some perceived misdemeanour. 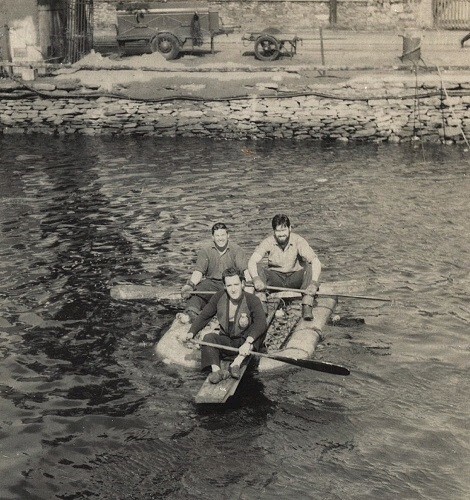 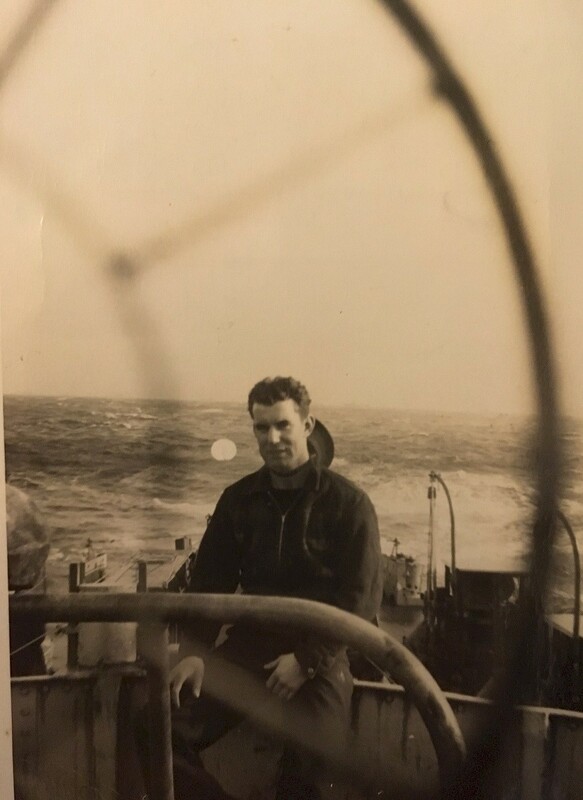 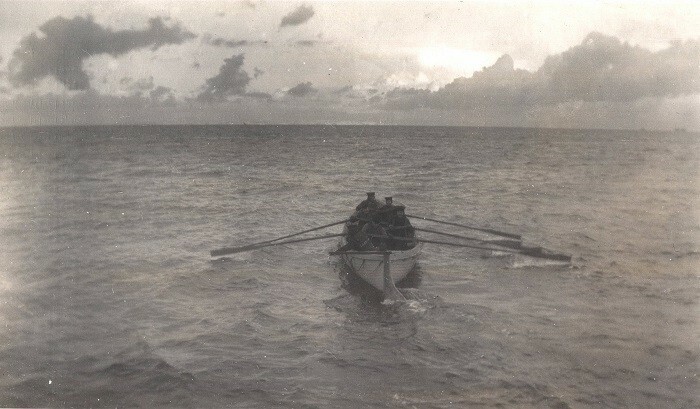 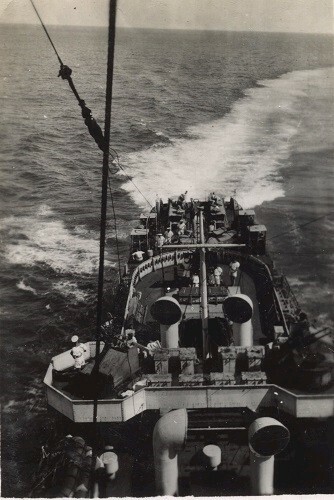 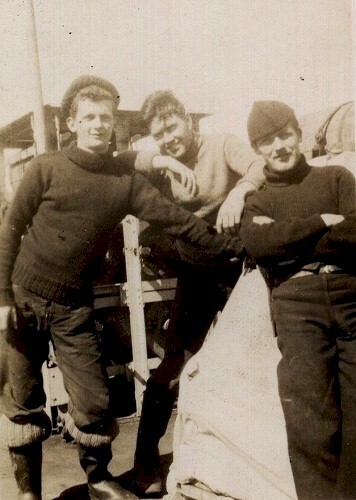 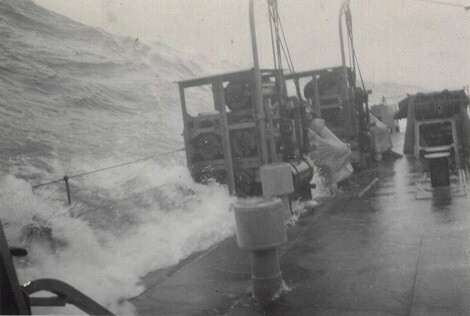 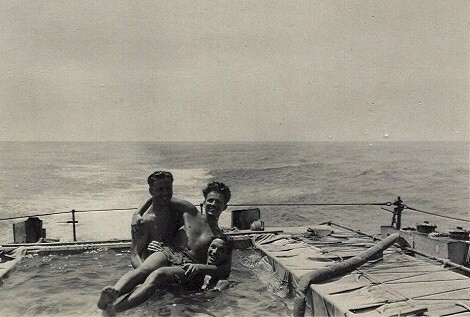 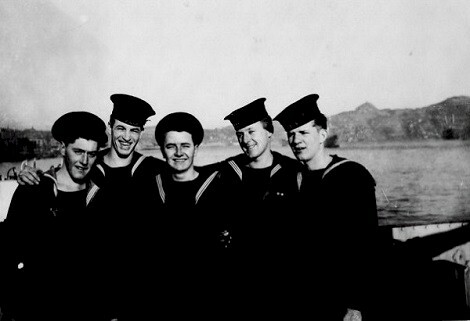 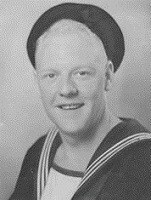 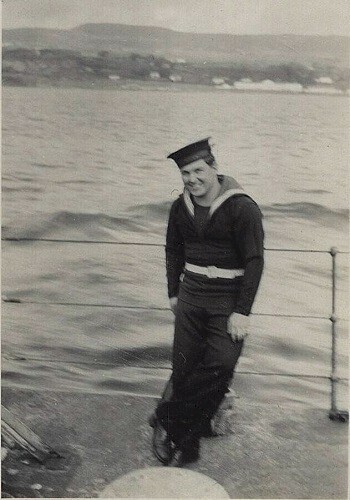 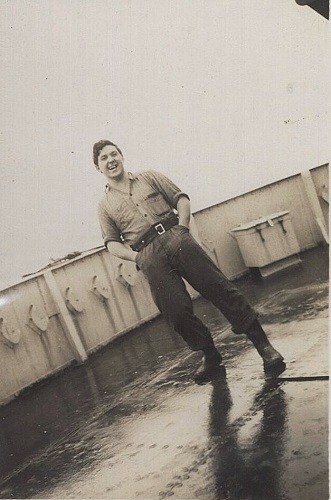 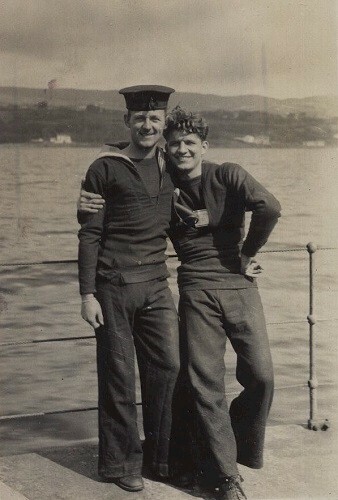 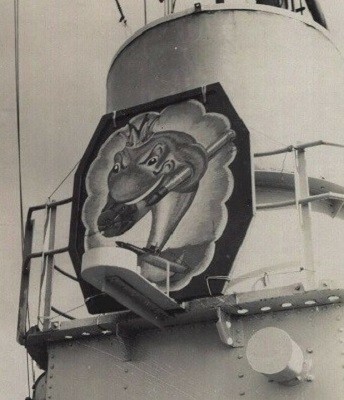 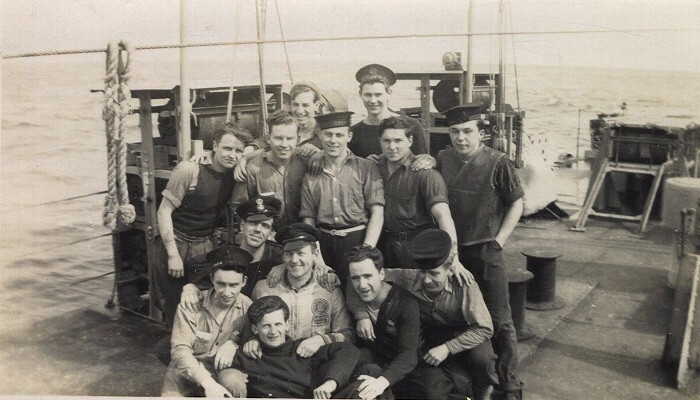 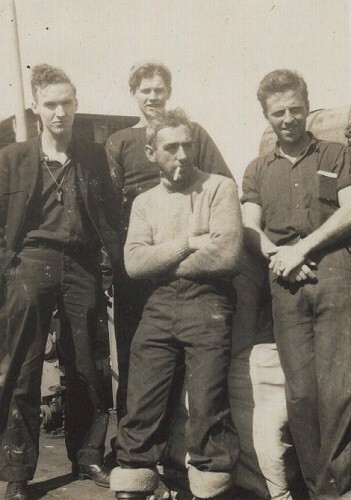 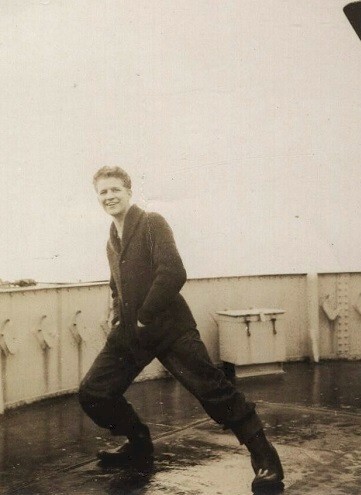 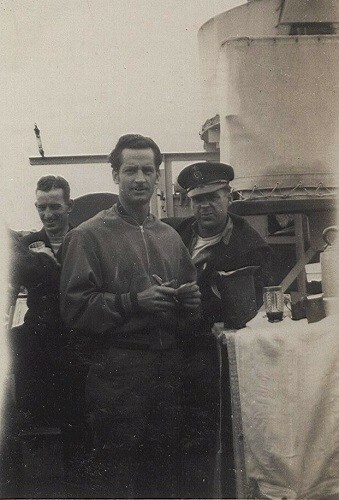 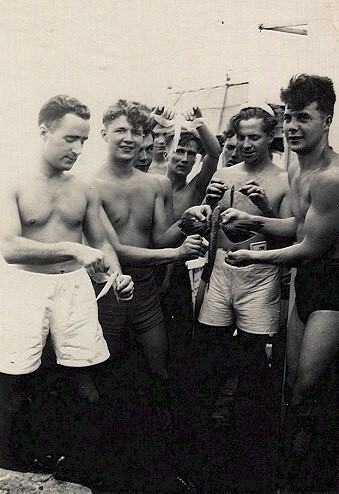 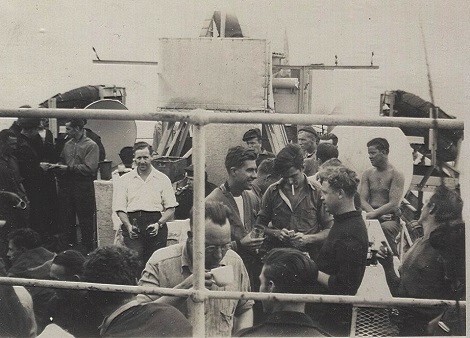 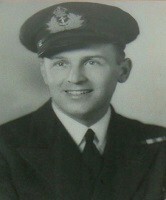 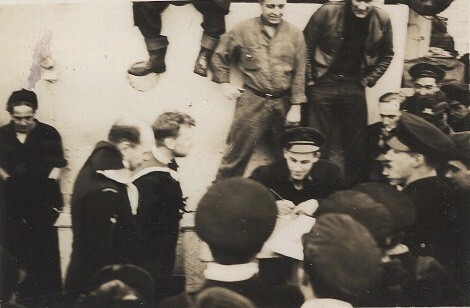 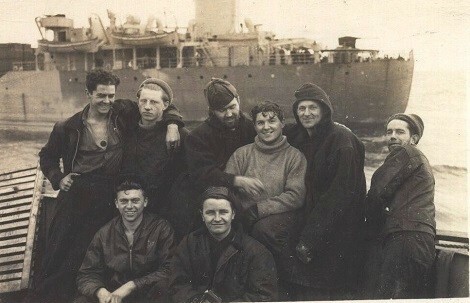 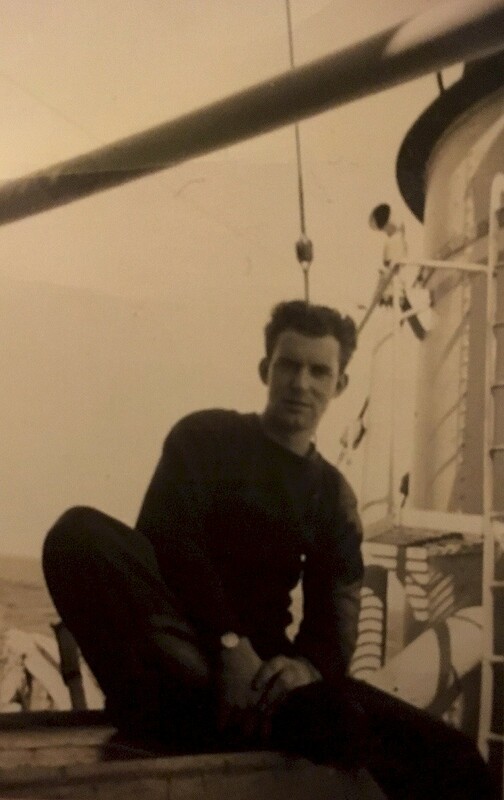 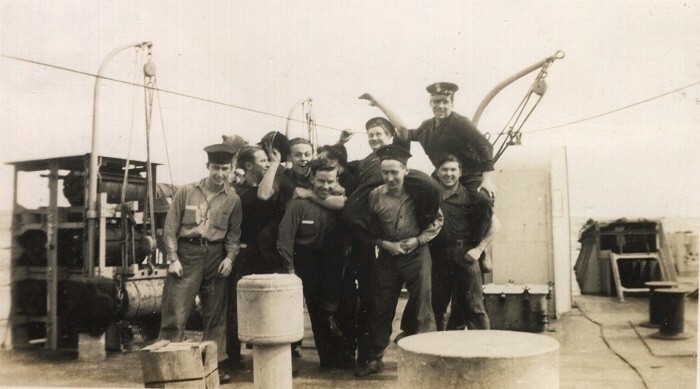 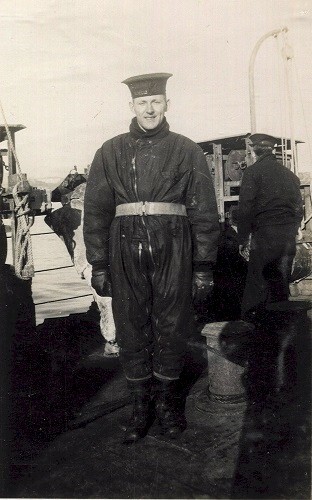 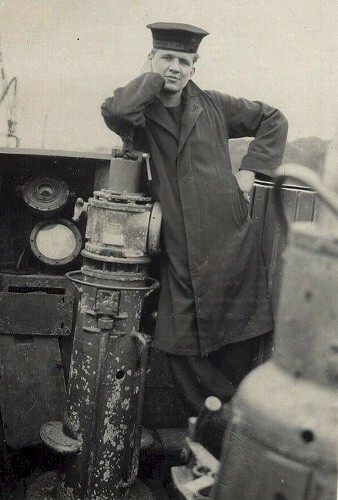 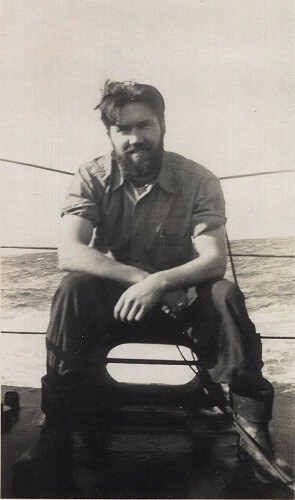 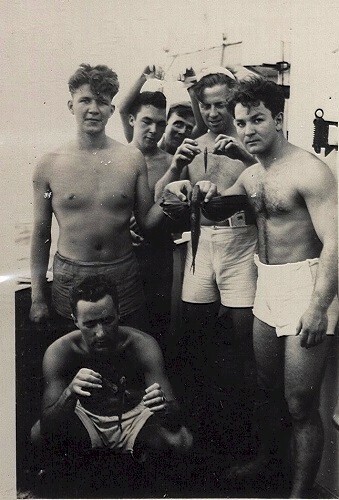 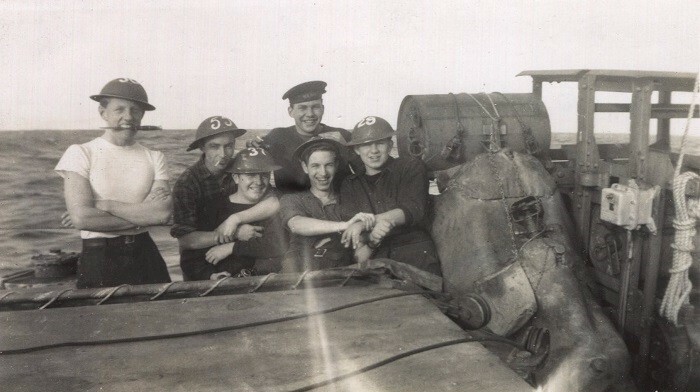 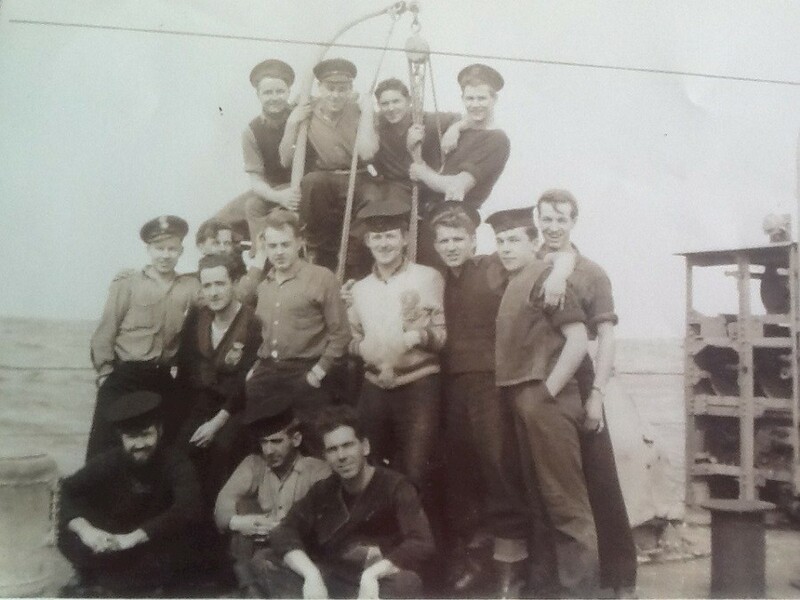 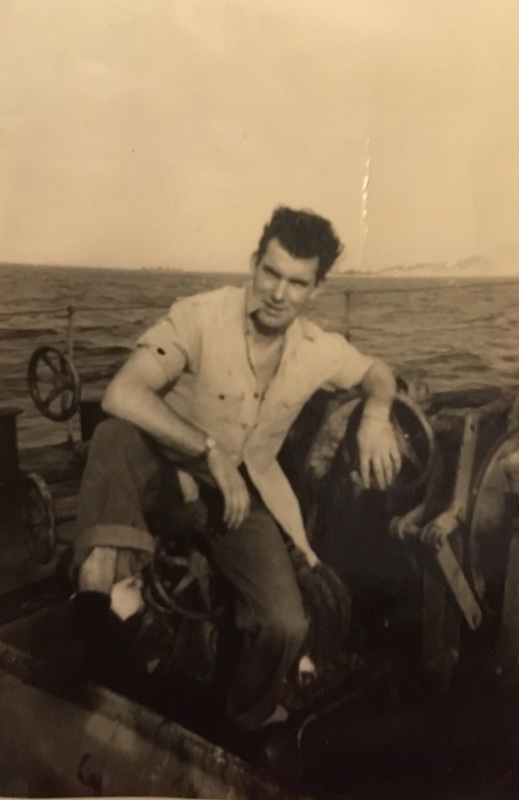 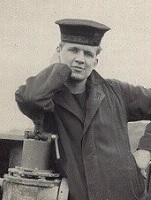 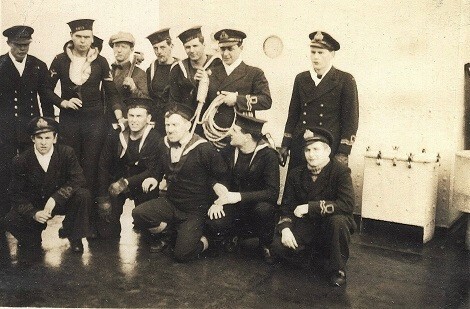 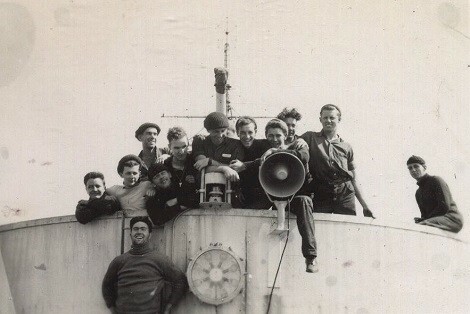 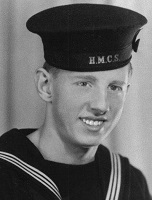 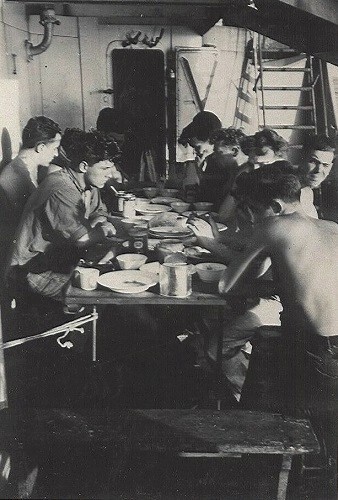 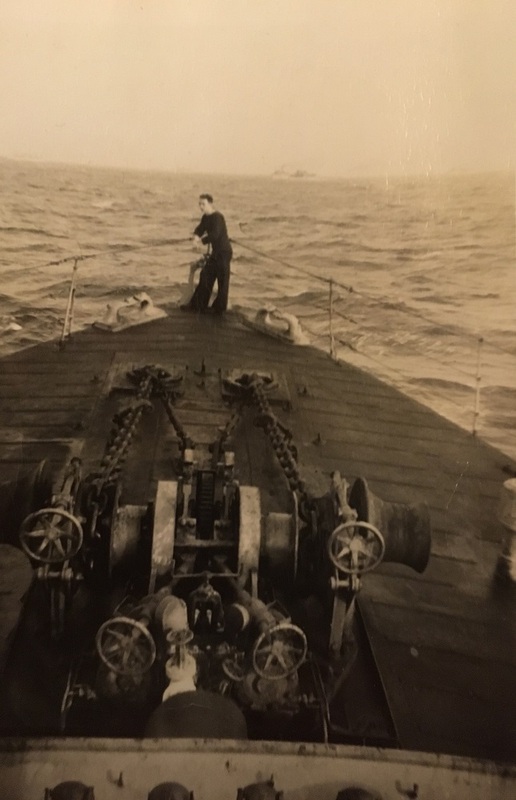 Hugh A. Benson below the "X"
Crew member of HMCS Longueuil getting his "sea legs"
"Some of the crew of the HMCS Longueuil after arrival in Halifax, June 1945. 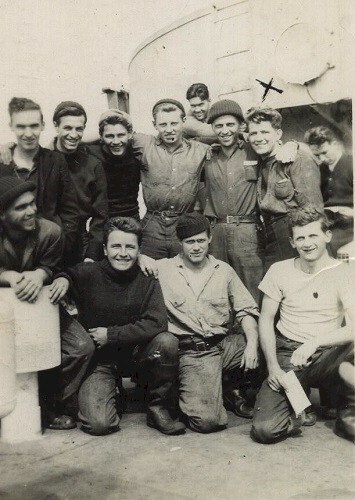 Bottom left corner is my grandfather, AB Gerald Craigs."